Apostle Moses Thatcher Home. South Main Street, Logan, Utah. List of owners? Back reads, "1904 - Mose Th[atcher] - 62 S M[ain]. 1909 [Moses Thatcher] Aug 21 1909. Lettie [Farr] 62 S M. 1914 [Lettie Farr] 50 S M. Yvonne Y. [Widue] GW 59 S Main. 1920 No. 1929 No. Signi Alpha Futum 62 S M. Apostle. Moses Thatcher Home. Main St. at 1st South. Logan, Utah. 1949 No [record]. 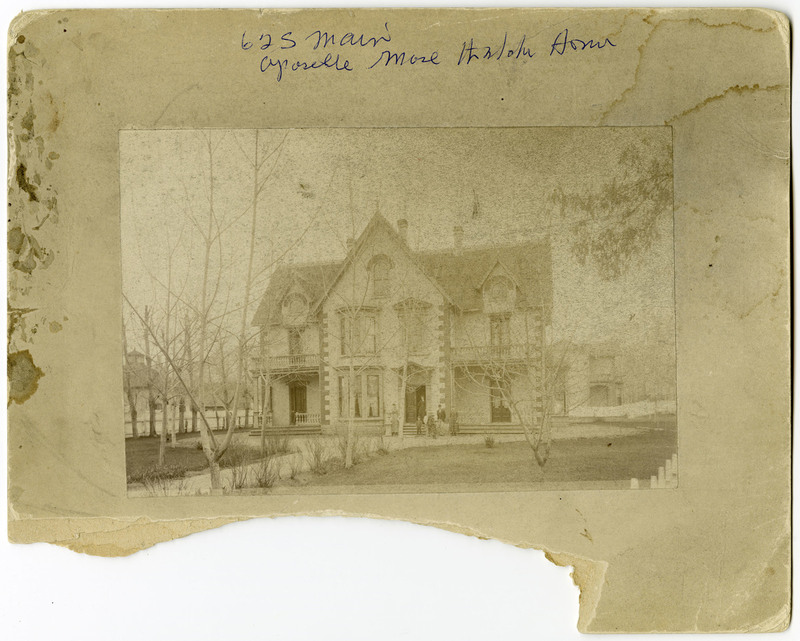 “Apostle Moses Thatcher Home, 62 South Main,” USU Digital Exhibits, accessed April 24, 2019, http://exhibits.usu.edu/items/show/19689.